Check out this great no-sew bag. 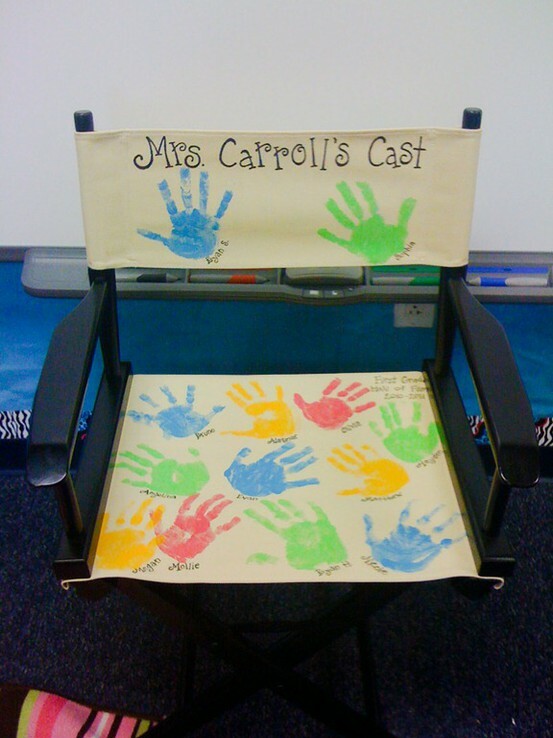 It is perfect to use in your classroom for a take home book bag. The idea comes from the book Simply Sublime Bags. Brooke posted about how to make one in her post How "Tues"day Tip #2. 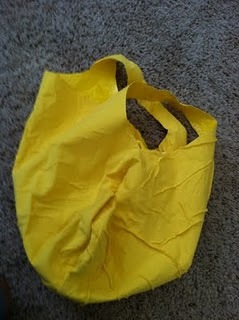 You can also, watch this You Tube clip from The Today Show to see how to make the bag. I am so excited about these two new units from Made For First Grade!! Color Center Activities and Color Day Fun. Both of these units are a great way to start out the new school year. 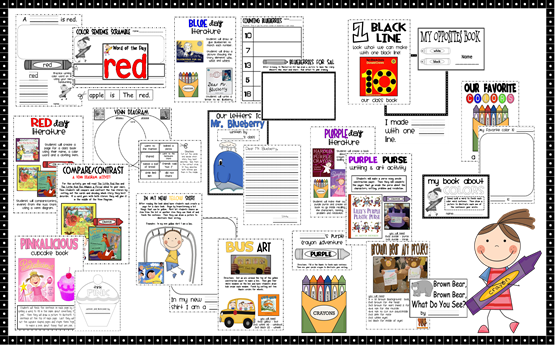 You will find a free download for a color stamping activity in the Color Center Activities post. If you are interested in having your class participate in a postcard exchange when school starts back up, take a look at Mrs. Saoud's post from Primary Graffiti. Mrs. Saoud is trying to get 50 teachers from 50 states. It sounds like a lot of fun!! Find out how to make these fun ABC rocks at Keeping Up With the Kindergartners. 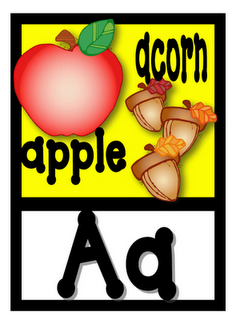 These would be great to use in an ABC or word making literacy center. 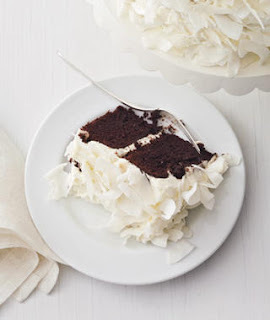 Do a little blog addict shopping at the Teaching Blog Addict Shop from Cafe Press. 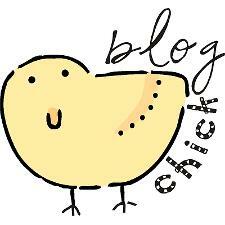 Check out this blog to find blogs by grade level and category. Room Mom 101 has all of her blogs on her blog roll separated by grade level or category. I definitely need to do this!! 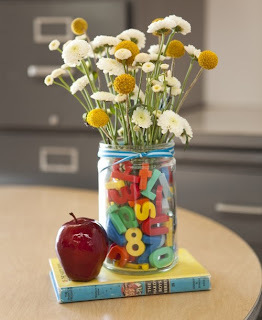 If you are looking for crafty blogs or blogs for older grade levels, you will find them here. I found this new fun crafty blog - Brown Paper Packages. You will find craft activities, recipes, and gift ideas here. I have gotten into "pinning" things on my board at Pinterest. If you are interested, you can check out my board of follow it at Chalk Talk. 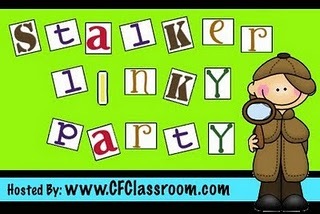 Check out the Blog Stalking Linky Party to see if you can find some new blogs to stalk!! I just got a peek at Kathleen's new unit Zero the Hero and I loved it!! For all of you who use Zero the Hero in your classroom, this would make a great addition. Kathleen's pack a Zero the Hero book, 2 math games, and a fun Zero the Hero art project! This unit would be great for both Kindergarten and first grade! I just found the neatest site called Pinterest from Chrissy Johnson at Wild About Kindergarten. Chrissy was my student teacher a couple of years ago. Pinterest is an online "pinboard" where you can "pin" inspiration photos from anywhere online. It's simple: drag the "Pin It!" icon to your toolbar, browse the web, and if you come up on an incredible idea, PIN IT! It saves that photo PLUS the exact link it came from, to a board of your choosing with a specific label. Make sure you check out Chrissy's School Days Page for ways to use Pinterest and for lots of great ideas!! I just requested an invite to this page and I can't wait to try it out!! Be sure to take a look at Deanna's latest posts. She has provided all of her bin labels as a free download in her post Organization Station. She has also finished her Back to School Unit. It has 161 pages to it and is just $8 on TPT. It has lots of fun new ideas as well as new spins on a few old ones. As usual, Deanna has made all of the signs, headers, and recording sheets that you need for each lesson. To get ready for next year, make sure you purchase her new Back to School Unit and her Literacy and Math Fun With Names Unit!! They are both a great way to start your new school year!! Several of our fellow bloggers have joined together to do a GIANT giveaway. I wanted to make sure that all of you knew about it. Here is the information straight from the post at Kinderglynn. Ok, are you sure you have enough room on your computer for all these fantastic things? Anna from Crazy for First Grade, Melissa from Mrs. Freshwater's Class, Erica from Erica Bohrer's First Grade, Michelle Oakes from Fabulous in First, Amanda from One Extra Degree, Cara from The First Grade Parade and myself, Kinderglynn have teamed up to offer you ALL these fabulous units and games! This is HUGE! There are 5 ways to enter! Please leave a comment for each one you have completed. I have put links under each person's giveaway. Their buttons are located on their blogs. You can go to the Kinderglynn Post to see what each blogger is giving away. Good luck everyone!! It’s time! Time to submit your favorite classroom/teacher blog for the 2011 Really Good Classroom Blog Contest! We are looking for the best blogs around. They could be ones that amuse you, help you, provide ideas, or highlight the happenings of their class. With three categories to highlight (K-4, 5-8, Specialty) there is a great chance for your favorite blog to be spotlighted. Simply click here to nominate the blog you feel has the stuff to be a 2011 Really Good Classroom Blog! Entries must be received before 9pm EST on June 30, 2011. All blogs who are nominated and whose authors agree to participate in the contest will be required to place a badge on their blog with a link back to The Teachers’ Lounge. All submissions will be reviewed and blog authors contacted within 48 hours. Voting will take place July 1-7, 2011 and one winner from each of the three categories will be chosen. * There will be three separate categories. Entries will be accepted for K-4, 5-8, and Specialty (counseling, reading, etc) blogs. The blog should focus on events in your classroom and other teaching related topics. * Once the blog has been reviewed (to be sure that it qualifies as a class/teaching blog), a contest badge and link back to the contest voting page will be sent. * Voting will be from July 1st – 7th, 2011. * One winner will be announced for each category on July 8th. * Winners receive top blog roll placement, badges that indicate the award, a Teachers’ Lounge blog feature, invitation to guest post on The Teachers’ Lounge, and a $75 Really Good Stuff gift certificate. I just discovered a second great blog with LOTS of great information and downloads on it!! It is Step Into 2nd Grade with Mrs. Lemons. Even if you teacher kinder or first, you should check this blog out. There are lots of great things for you there too! There is no possible way to list all of the posts I liked, so I am just going to name a few, but be sure to check out all of them. More Book Bin Labels. 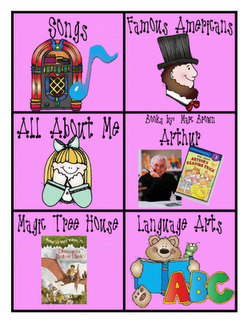 In this post you will find downloadable labels for your book baskets. Don't Buy an Alphabet. 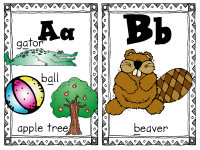 You will find GREAT ABC cards here with pictures for words that start with that letter sound. You will also find posts with downloads for shapes, colors, and numbers. Phonogram Cards.There are sound cards for single letters as well as chunks of letters. Amy has several sight words posts with downloads that would be perfect for literacy centers. Her ocean downloads for her room, her word wall pictures with the student generated alphabet, and Rewards with No Cost are a few more of my favorites. I could go on and on!! Make sure you check this blog out! 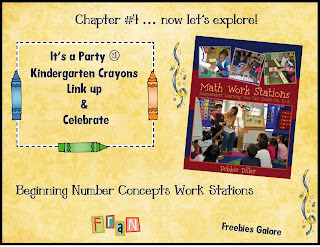 A Great Post and Free Downloads from Kindergarten Crayons!! If you have not discovered Fran's absolutely AMAZING math tub post yet, then you need to check it out NOW!! Go to her post at Kindergarten Crayons Chapter #4... Now Let's Explore! Freebies Galore!! post. Fran has broken down chapter 4 of Debbie Diller's math tubs book. 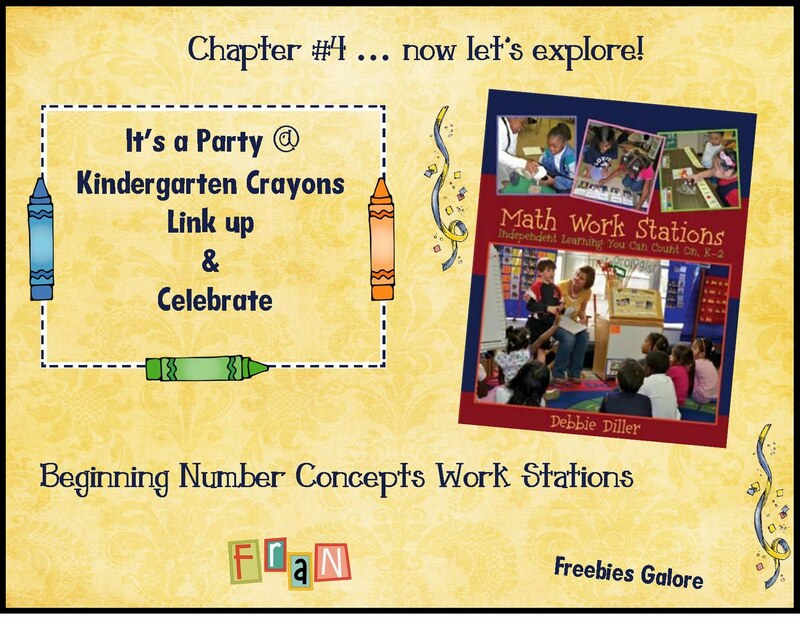 She gives lots of great ideas for your number workstation and has GREAT downloads for you!! For FREE!! A teacher I worked with this year is being moved from first grade to second grade and is looking for second grade blogs. She has just started a new blog called My Second Grade Journal. Check out her blog and comment below if you have a blog to suggest for her. Thanks!! I came across a new blog today called Little Literacy Learners. Be sure to check it out today before 10 p.m. (Eastern time) so that you can enter a great giveaway. To learn more about the giveaway, go to the post My First Giveaway. I came across a new blog this week. It's called Clutter-Free Classroom. Throughout the month of June, you will find classroom theme posts each day. There is a great bee theme posted now with pictures included. Be sure to check out the posts as you already start to think about your classroom for next year. For all of you Mo Willems fans out there....He is finally making another Pigeon book!! Yah!! 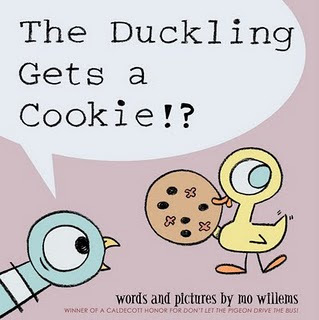 This time the duckling gets a cookie and the pigeon is NOT happy!! The book is set to release in April of 2012. Here are a few pictures of my favorite activities from Melissa Freshwater's unit Frog Math and Literacy Fun. 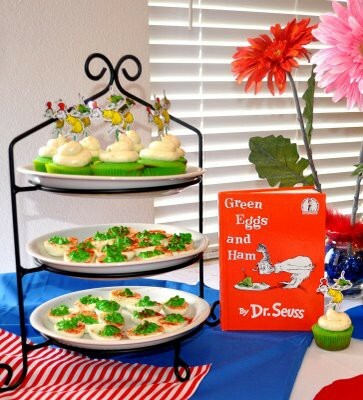 This unit has tons of great activities you can use in centers or for kids to work in partners on, so even if you do not teach a unit on frogs or think you do not need it until next spring, you should check it out on TPT because you could easily use all of the activities in math and literacy centers. Student's match the colored frogs. Then they record the numbers and decide which is greater. This activity would be great for a build a sentence center. Students choose a word wall card. Then they write a sentence using the word wall word on the card as well as the picture. For this activity, students work on spelling four letter words. This activity allows students to have a little stamping fun while they work on hearing the middle sound in words.